In a war of words that will probably be more entertaining than the fight itself, Conor McGregor delivered a verbal haymaker when he accused Floyd Mayweather of having a gambling problem. The Irishman made the charge on Wednesday during the last press conference before Saturday’s bout at T-Mobile Arena in Las Vegas. The previous media meetings have been pure theatrics, with everything from the challenger rubbing the champion’s head to homophobic slurs to outlandish histrionics on both sides. But this didn’t seem like a stunt to drum up publicity as it was delivered in a serious tone and the recipient didn’t look very happy. 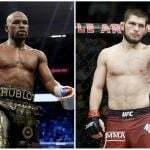 It was in response to what Mayweather said when he guaranteed that he would knock McGregor out and that he would put his money where his mouth is. 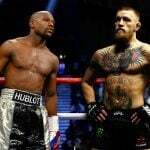 Unlike previous appearances in front of the microphone, where the UFC title holder’s voice rose and he spewed profanities, he calmly assessed Mayweather’s statement. 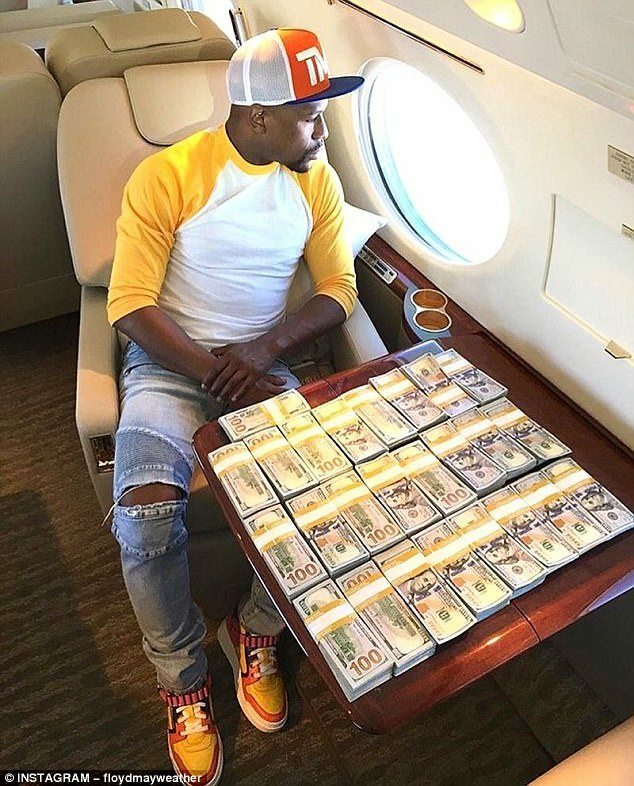 Mayweather did have a brush with the Internal Revenue Service earlier this year for unpaid taxes on his 2015 income, most of which came from his $200 million payday for defeating Manny Pacquiao in May of that year. He told them he wanted an extension and would pay that bill with his anticipated $400 million he will make on Saturday’s contest. 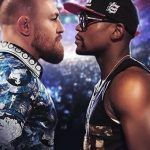 Mayweather’s wagers, his winning ones at least, are legendary and he is not shy on going on social media and showing off his profits from various sporting events. 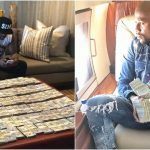 In May he posted a picture of him in his jet with bundles of $100 bills in his lap, money he said came from cash he placed on the Boston Celtics defeating the Washington Wizards. He has also shown betting slips or bragged of victories on Oregon and giving away the points against Arizona State in 2013, a similar bet on Denver over the New York Jets in 2014, and a straight up bet on the Golden State Warriors defeating the Houston Rockets in May 2015. Boxing is different, however. He claims to have never bet on himself in any of his 49 victories, but rumors persist that he has members of his entourage place the wagers for him.